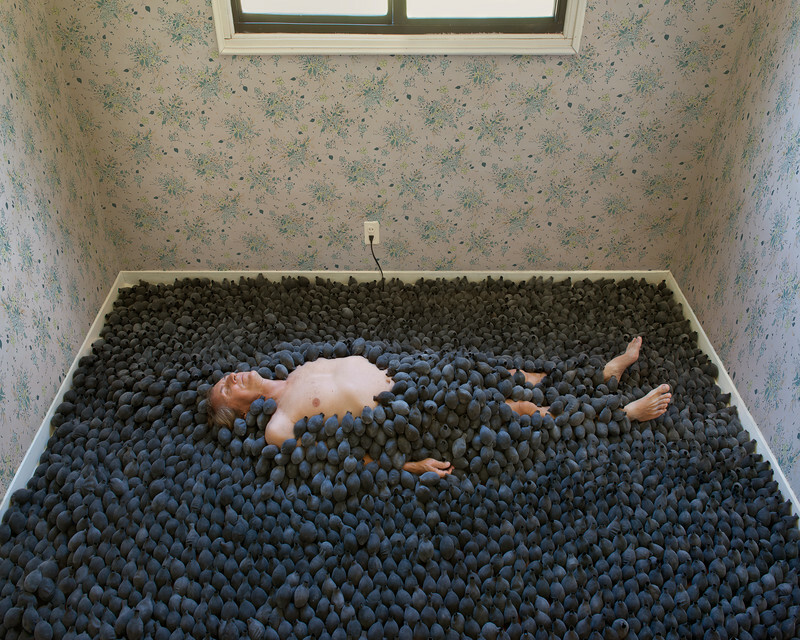 For this photograph, I covered the floor with hundreds of modified black latex balloons, filled and coated with dirt and ashes. The forms seem quite life-like, even bird-like, and are both beautiful and haunting. The objects echo the blue flowers in the wallpaper, and point to the cycle of life, impermanence, and mortality.